This town in Spain’s westerly Extremadura region was the venue for a wedding I recently attended and while there I found some very appealing heraldic display, ranging from these beautifully painted 16th century arms in one of the chapels at the Nuestra Señora de la Granada church, to these more modern painted tiles at the arrivals door of the bus station, showing the arms of the town and of the region. 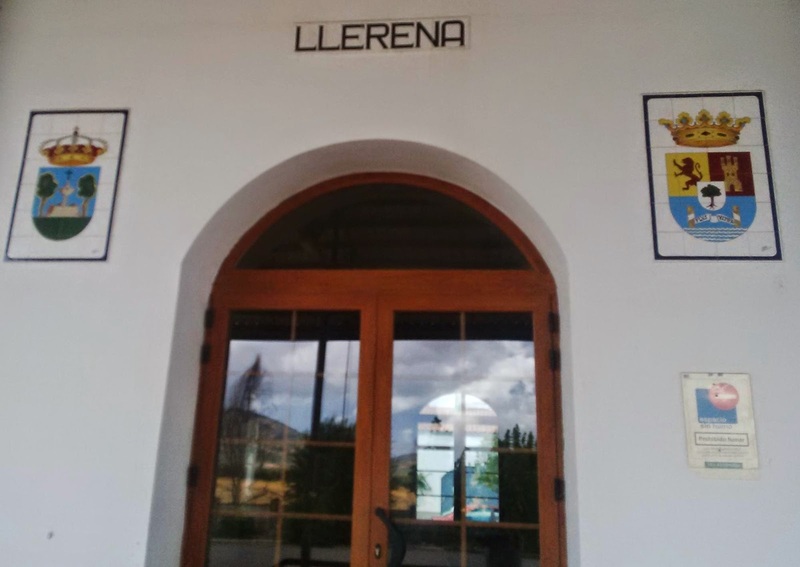 Some years ago I had occasion to work extensively with 16th century records of both of Llerena’s churches as well as the notarial records for the same period, a wealth of documents that revealed a great deal about the families then prominent in the city – Chaves, Silíceo, Oliveros and Larios, among others. I look forward to eventually adding the photographs I obtained of the many armorial stones adorning some of the town’s venerable old houses and will surely find these lineages and others represented in them.